In a survey conducted at Microsoft Ignite 2018 in Orlando, Florida, Derdack investigated the state of IT alerting solutions among businesses. The survey is based on 368 participants, randomly selected among IT professionals visiting the expo showfloor. The survey revealed if and if yes, which IT alerting solutions (ITSA / “IT Service Alerting”) businesses use to support their IT operations and to respond faster to major and critical IT incidents. ITSA tools complement ITOM and ITSM solution with automated alerting to typically on-call duty staff to ensure seamless 24/7 IT operations. Fundamental is the ability to deliver critical alerts via text, voice calls and to mobile devices to the right people at the right time. This automated routing, i.e. targeted alerting, leads to significantly shorter response times, less false alerts and a higher attention to IT alerts. Besides mobile alerting and on-call duty scheduling capabilities some ITSA tools also provide for anywhere actions like IT troubleshooting from a mobile device. Derdack Enterprise Alert is a typical ITSA tool with capabilities for multi-modal mobile alerting, duty scheduling, ad-hoc collaboration and anywhere incident remediation. The first essential finding was that 61% of all surveyed businesses do not use any sort of solution to automatically notify IT engineers, today. There can be multiple reasons why businesses do not use ITSA tools. In most cases, they operate a SOC or NOC (“Service/Network Operations Center”) where 1st level support staff is monitoring IT operations and responds to any incidents on site. In such scenario, IT engineers and experts are called manually if the problem solution requires deeper expertise. Other reasons include a lower criticality of IT operations and IT service availability. While 49,5% of all surveyed businesses do not plan to deploy an ITSA solution, there is a group of astonishing 12% who plan to introduce an alerting tool in 2019. This goes along with the Gartner ITSM hype cycle, where ITSA tools are expected to become “common” within the next 2-3 years (“Gartner Hypecycle for ITSM, 2018). What is being used for automated IT alerting? This is underlined by the fact that 39% of all surveyed businesses already do have an automated IT alerting solution in place. So, automated IT alerting is already wide-spread. 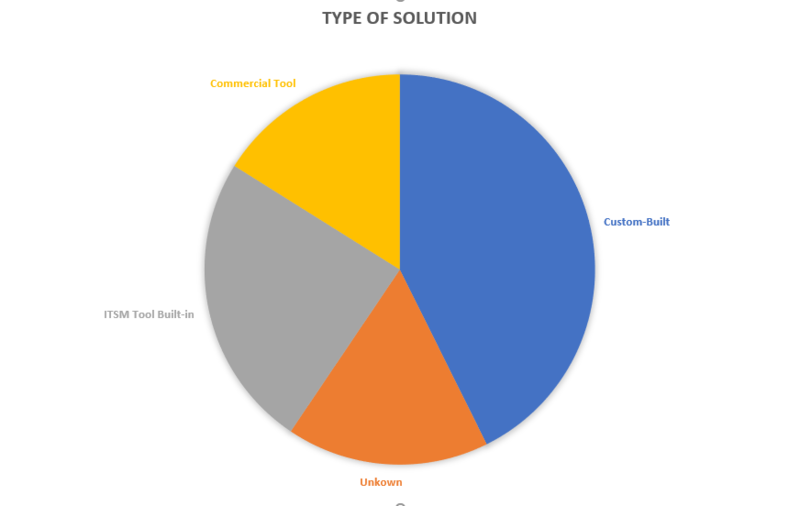 The majority of those (43% of this group) uses a custom or home grown solution. 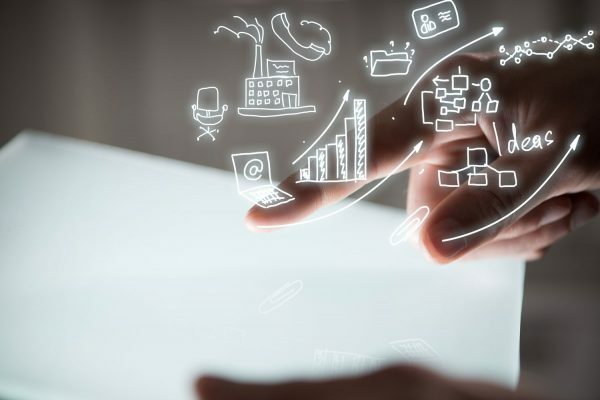 While we did not ask how such solution is built, we know from our own customer base that custom-built solutions often consists of scripts and workflows. 24% in this group use the built-in features of their ITSM and IT Monitoring tools, often leaving them with very basic and limited email notifications. 17% in this group could not name the solution they are using. 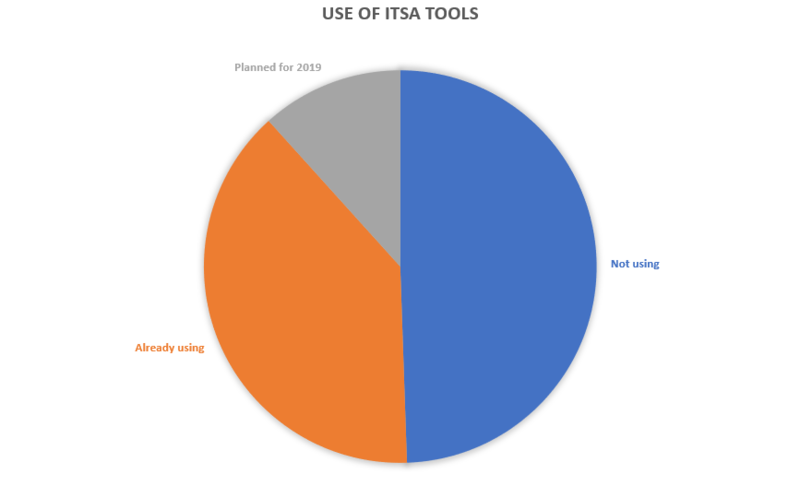 Only 16% of the group who is already using an ITSA tool, i.e. about 6% overall, are using commercial products for automated IT alerting. Even if you add a few who couldn’t name their solution, this number would likely be at no more than 10% of all surveyed businesses. Businesses are aware of the benefits of IT Service Alerting tools. Almost 40% of all surveyed businesses have a solution in place. And another 12% are planning it for 2019. However, the role if commercial products is still relatively small. The survey confirms a 6% (we estimate 10%) penetration with commercial ITSA products from vendors like Derdack, Pagerduty or xMatters. So, ITSA vendors need to continue marketing the value and benefits of commercial solutions to continue gaining market share. They have to both convince busineses who are using custom-built solutions and greenfielders looking to augment or even to replace their SOC or NOC. 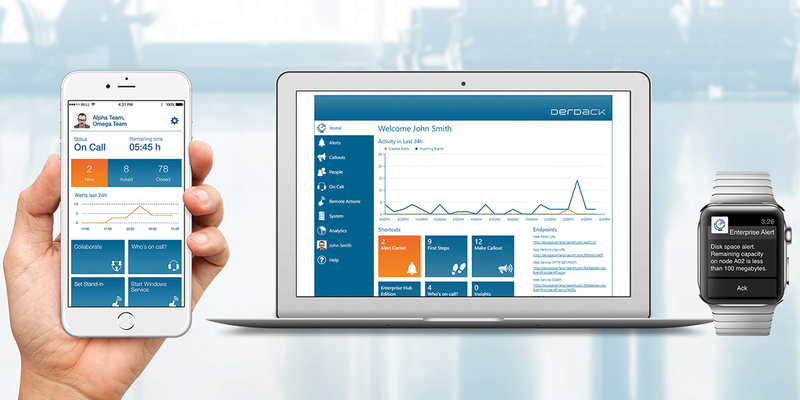 Click here to learn more about Derdack’s ITSA solution, Enterprise Alert.